The winner of the Faith-Based We Choose Virtues flash cards is The White's House/Garden Tenders! Congrats! I'll send those out to you within a few days of receiving your mailing address. 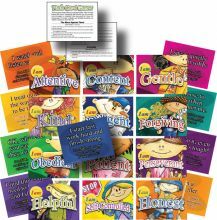 You can still get $8.00 off by using the promo code "JoAnn" to purchase the Virtues Flash Cards (faith or community based). THANK YOU! I emailed you and we look forward to using them in our "classroom". Again Thank you so very much! !